The Plant Nanny watering stake releases water deep into the soil and directly to plant roots where it’s needed the most. This ingenious terracotta stake lets you put last night’s wine bottle to good use and allows you to see at a glance when to water. 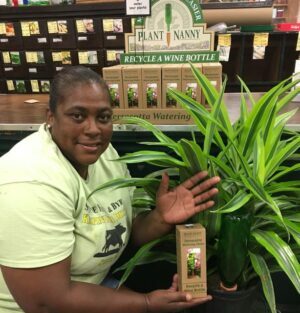 Providing consistent watering, this Plant Nanny is great for indoor and outdoor use and excellent for vacation watering. 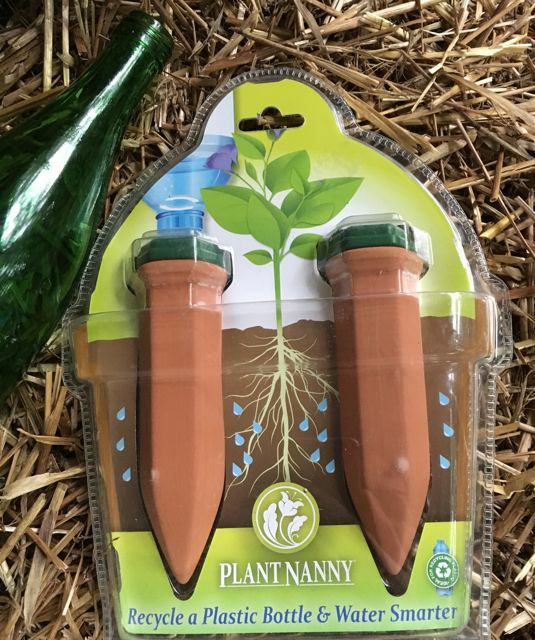 Simply insert the Plant Nanny stake into the soil and insert your favorite bottle of vino. Be sure to fill the bottle with water.